Born and raised in Ukraine, Carolina obtained her first degree in Linguistics and Education in 2008. After moving to the United States, she decided to change her career path and having been always passionate about helping others, she pursued a career in nursing. Carolina graduated from Cal State Long Beach with her bachelor’s Degree in nursing in 2014 and with a Master’s Degree in Nursing in 2015. On the same year she became nationally certified as a Family Nurse Practitioner. Carolina had always been an active child. She played tennis and participated in multiple local youth tournaments. Due to a knee injury, she had to stop playing but her love for sports and passion for medicine helped pave her way into the world of sports medicine. She enjoys treating musculoskeletal conditions and athletic injuries as well as helping patients regain functionality and improve their overall health. Upon graduating, Carolina worked at Long Beach Memorial Medical Center in Surgical/Oncology Department where she learned the importance of multidisciplinary patient centered care. 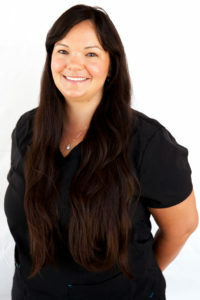 Carolina also has experience in Urgent care medicine and diabetes management. Outside of the office Carolina enjoys travelling and various outdoor activities with her husband and their three dogs.